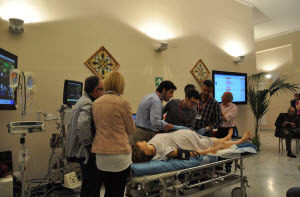 WISER, in conjunction with UPMC, the Mediterranean Institute for Transplantation and Advanced Specialized Therapies (ISMETT), and the Renato Fiandaca Simulation Center, held the 3rd Mediterranean Transplantation Anesthesiology and Simulation Symposium (MedTASS) at the Grand Hotel Villa Igiea in Palermo, Italy on April 12-13, 2013. International experts presented reviews of current standards of practice in anesthesia, and also presented reviews of anesthesia based simulation scenarios. 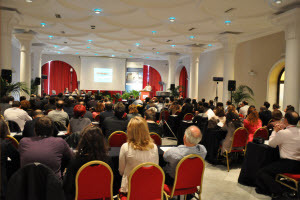 This year's conference had over 175 participants from all over Italy. Several WISER faculty members were part of this conference: Dr. John Williams, Chair of the Department of Anesthesia, Dr. Raymond Planinsic, who served as Conference Cochairman, Dr. Joseph Quinlan, Dr. David Metro, and Dr. Kenichi Tanaka. 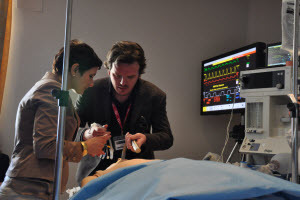 Simulation was used in this conference to teach and demonstrate techniques used in dealing with critical operating room scenarios, developing an understanding of potential medical errors, and practicing crisis-management skills. 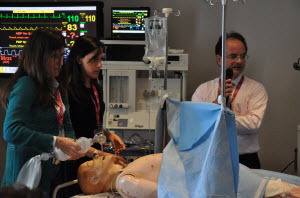 The following are a few of the scenarios that were presented: Difficult Airway Management in the OR (Anesthesia Crisis: Can't Ventilate or Intubate), Anesthesia Crisis: Anaphylactic Shock During Induction, Post Cardiac Surgery Cardiac Arrest, Arrhythmia and Hemodynamic Instability During Extubation and Cardiogenic Shock: How to Proceed to Save Lives. This year's conference was a success and WISER looks forward to the next MedTASS conference that will be held in 2015.